A lucky gap in the weather after torrential rain meant that the Southwell Lantern Walk with all its 'sparkle and shine' went ahead for another year. People of all ages enjoyed seeing the lights and carrying their lanterns along the parade. 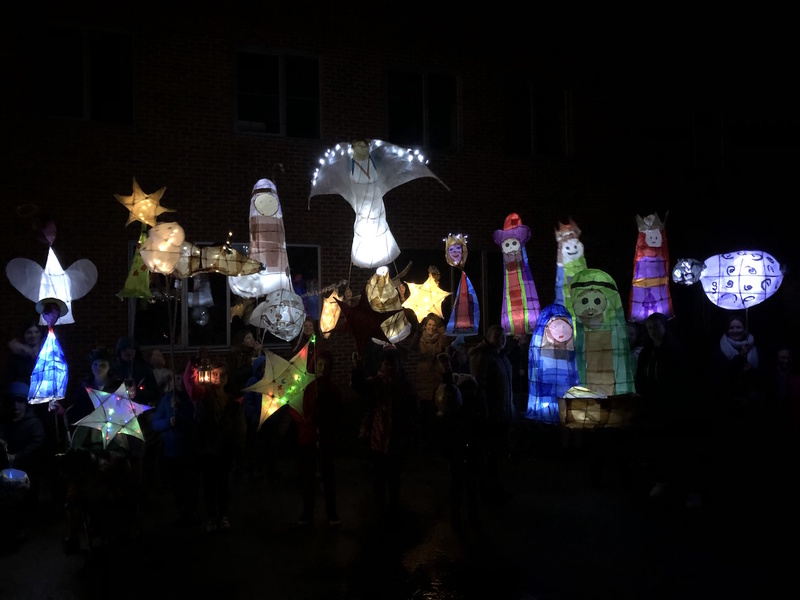 Minster School pupils led the parade with their 'build your own nativity' themed lanterns made in a workshop earlier in the week with artist Jessica Kemp. Community groups, schools, preschools and churches joined in by making large static lanterns which lined the route of the parade. Talented singing group Ain't What You Do added a great atmosphere at both Southwell Minster and The Minster School with their outdoor carol singing. Inside the Minster School, the Newark and Sherwood Concert Band delighted people with their Christmas music. Refreshments were served by Holy Trinity Infant School PTA, The Minster School PTA and Southwell Town Council. Thanks to Southwell Rotary Club for stewarding this event and Newark Community First Aid for covering the event. This community event is organised and funded by Southwell Town Council with support from Newark and Sherwood District Council and Notts County Council. Come and find the Nativity Lanterns assembled inside Southwell Minster in the run up to Christmas. Merry Christmas everyone!